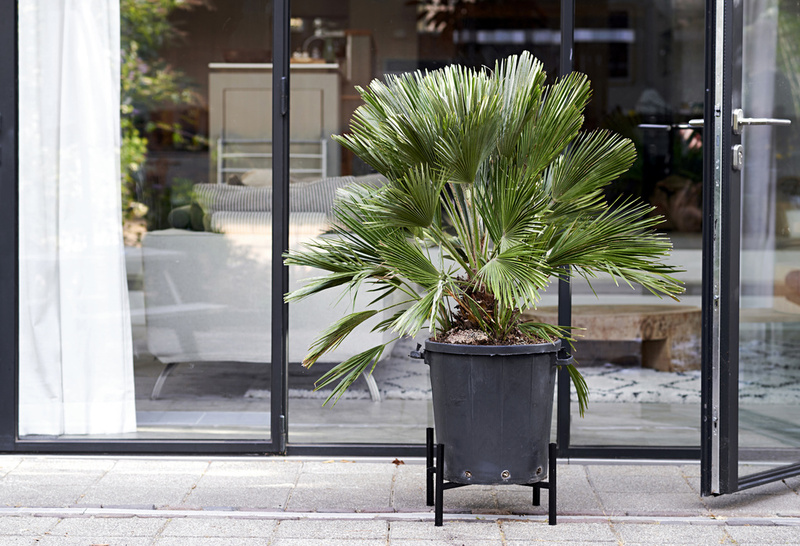 The Date Palm is available in two species: P. canariensis with rugged, upward-pointing feathered leaves, and P. roebelenii with softer, more elegant curved leaves. 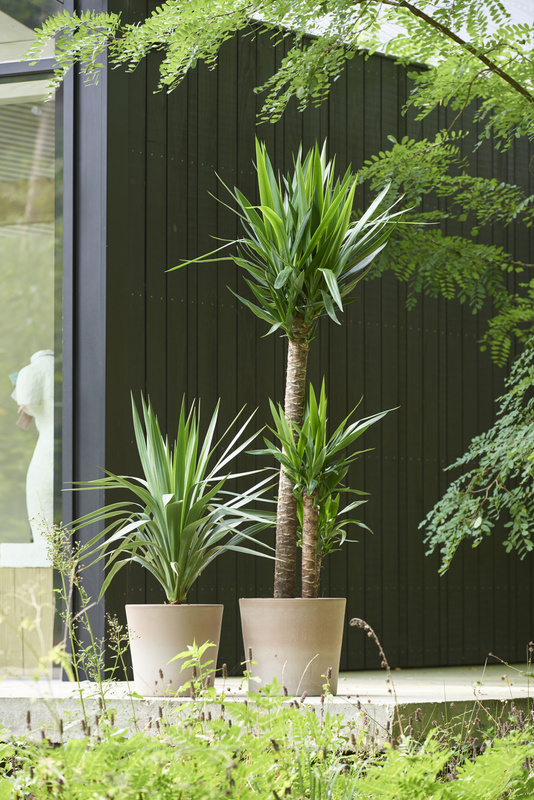 They’re available in various sizes with slender trunks, sometimes with several in a single pot. The best-known species of the Cabbage Palm is Cordyline australis. The plant offers a fabulous rosette of leaves, and is available in both small sizes for planting as bedding plants, and larger sizes that look lovely on a balcony or patio. The most common varieties are ‘Red Star’ (red leaves) and ‘Verde’ (green leaves). The Yucca is available as the hardy species Yucca flaccida, Y. gloriosa, and Y. filamentosa. All three have rugged leaf rosettes on which the leaves are always different. In the summer they flower with an elegant spike of flowers. Yucca elephantipes prefers to overwinter in frost-free conditions. It’s primarily a container plant, but also works very well as a houseplant. 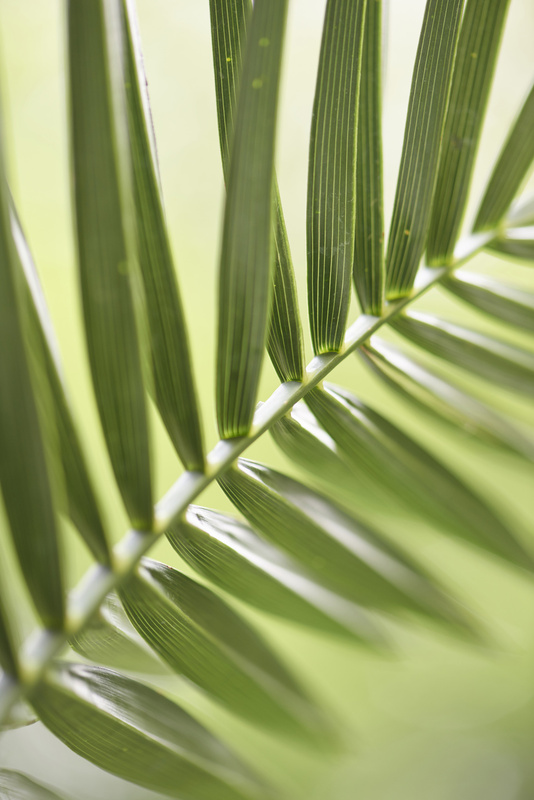 The Chinese Windmill Palm (Trachycarpus) is characterized by its fan-shaped leaves. 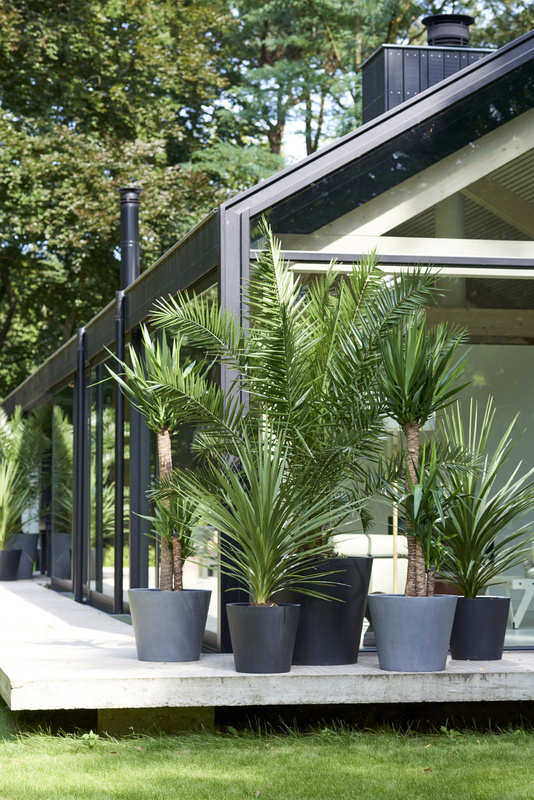 This species is available in substantial sizes, which makes it extremely suitable for dressing patios and driveways, and it can even cope with frost. • It’s unlikely that the Date Palm will actually produce dates, but anything is possible if the summer is a long and good one. 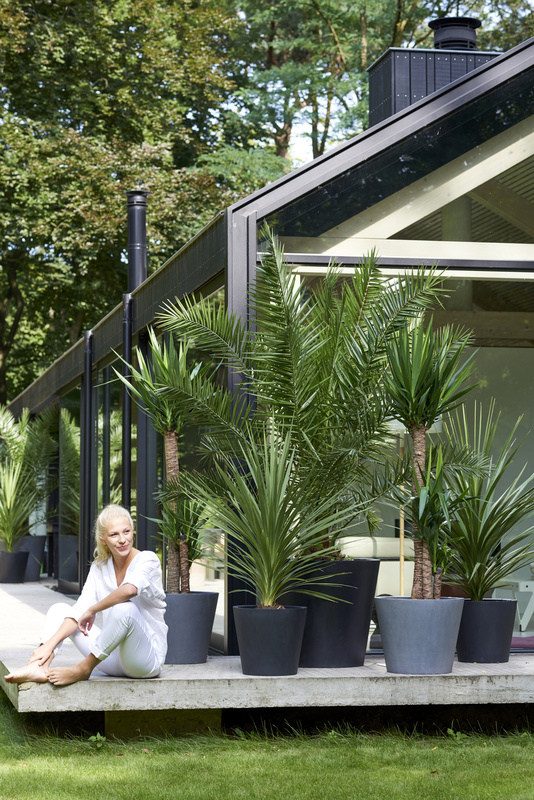 • Placing palms in the garden is the modern version of the palm houses that the aristocracy had built in the past, and offers the same chic botanical atmosphere. • For the Romans, the palm branch was a symbol of Victoria (Nike), the goddess of victory. 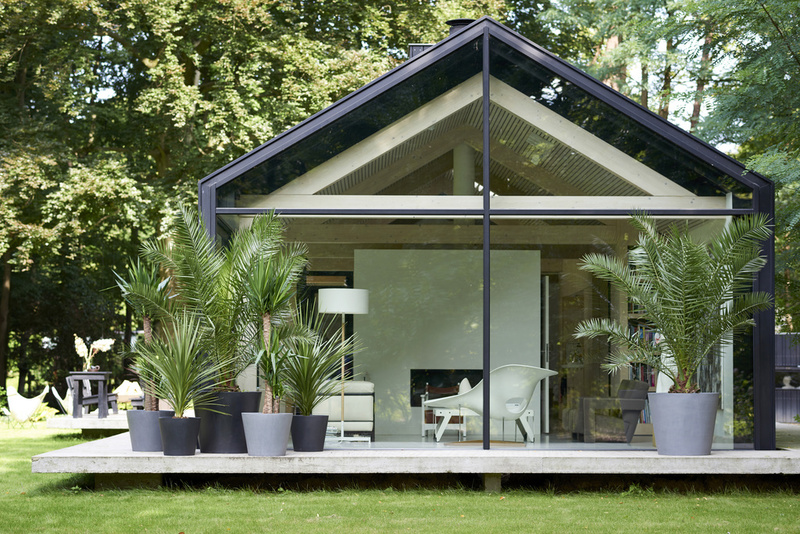 • Trachycarpus is known as the most hardy palm. 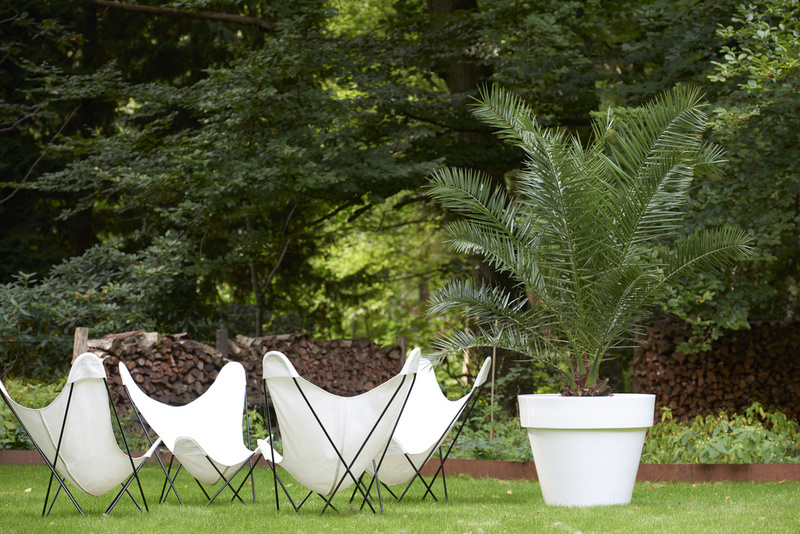 It’s therefore a plant that you can enjoy in your garden in both summer and winter. 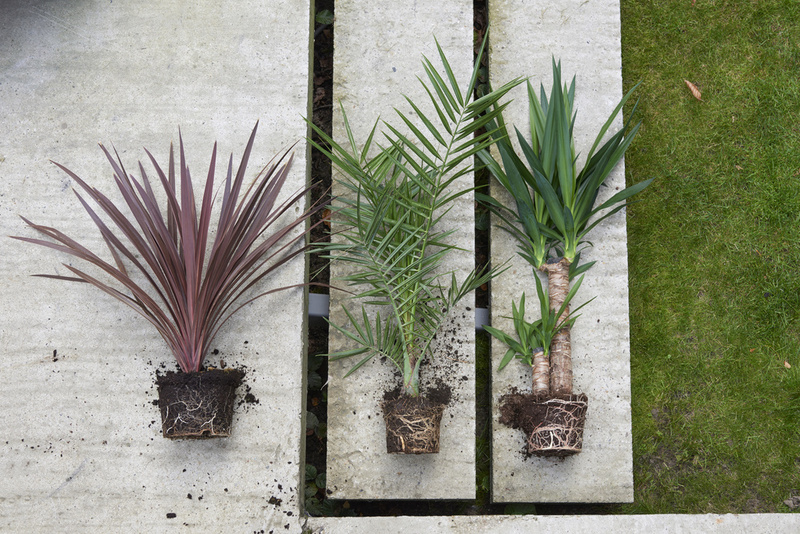 • For garden palms, both the size and the age determine the price: the older the plant is, the more expensive. 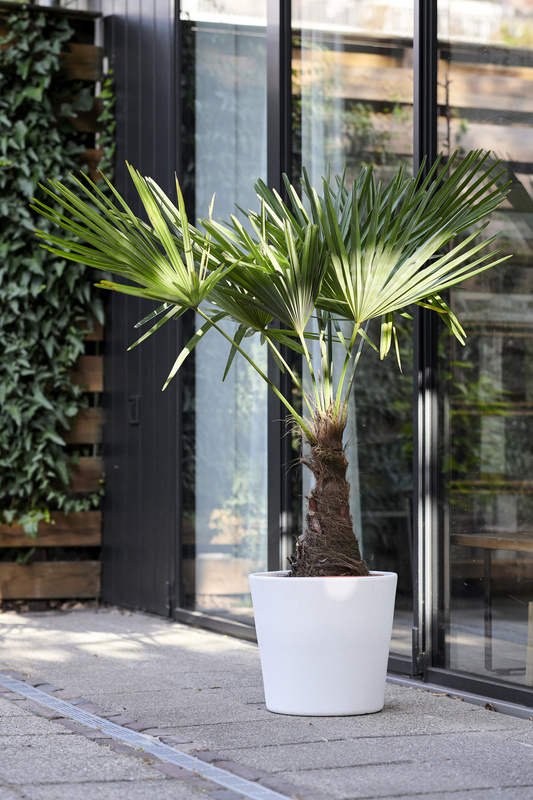 • The trunk should be well-rooted, the pot must offer room to grow and the soil must be heavy enough that the plant can stand independently in the pot without falling over as a result of being top-heavy. • Garden palms must be free of pests and diseases. Especially look out for mealybug and scale insects. • If the plants have been kept too dry, they can suffer from red spider mite, which can be identified by grey discolouration of the leaves. • Brown leaf tips indicate insufficient humidity, while yellow leaves mean that the soil is too wet or too dry. 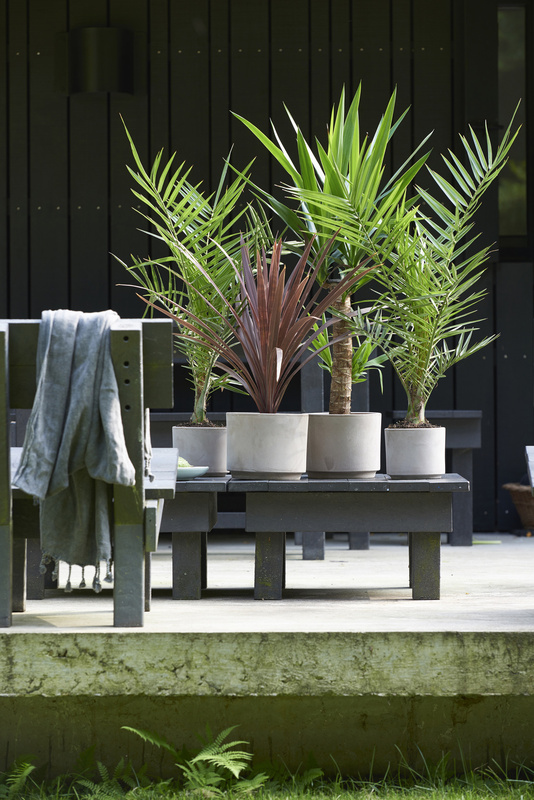 • Garden palms like a warm spot, ranging from partial shade to full sun. 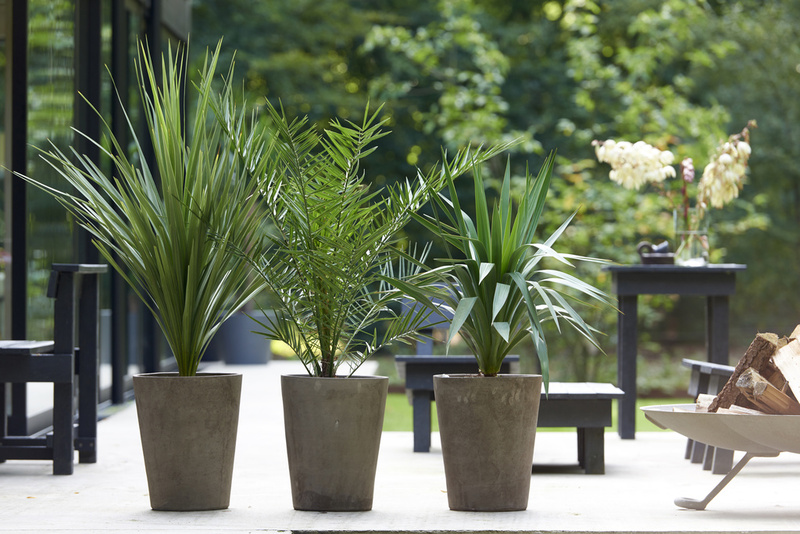 • Do not allow the soil to dry out - garden palms need moisture. • Feed once a month during the growing season. 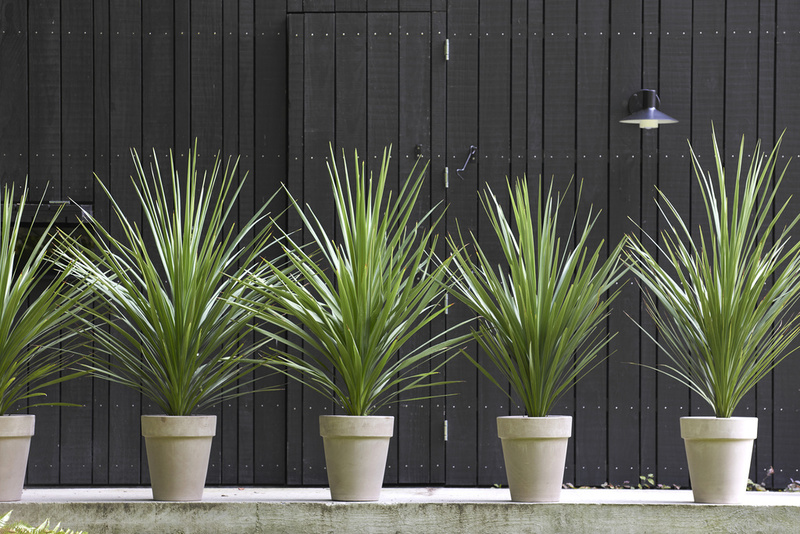 • Wrap garden palms in the event of frost, or overwinter them in a frost-free location. 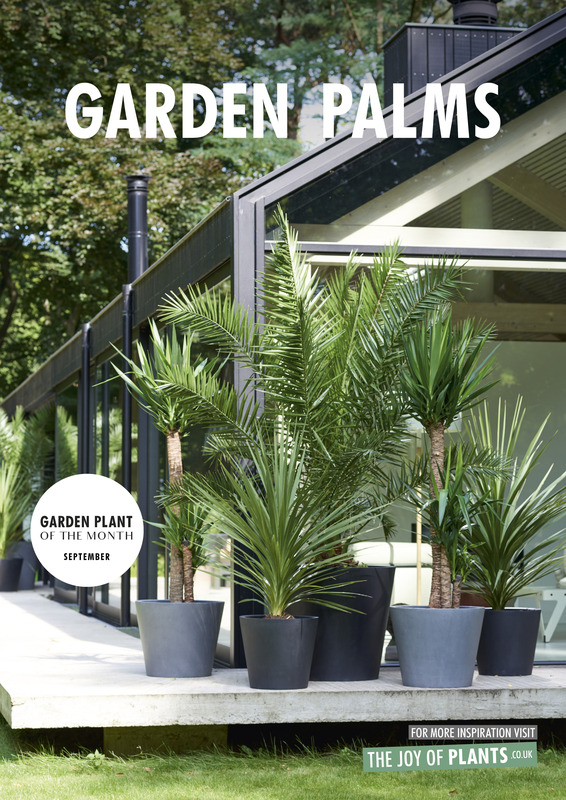 Garden palms are the Garden Plants for September 2018. 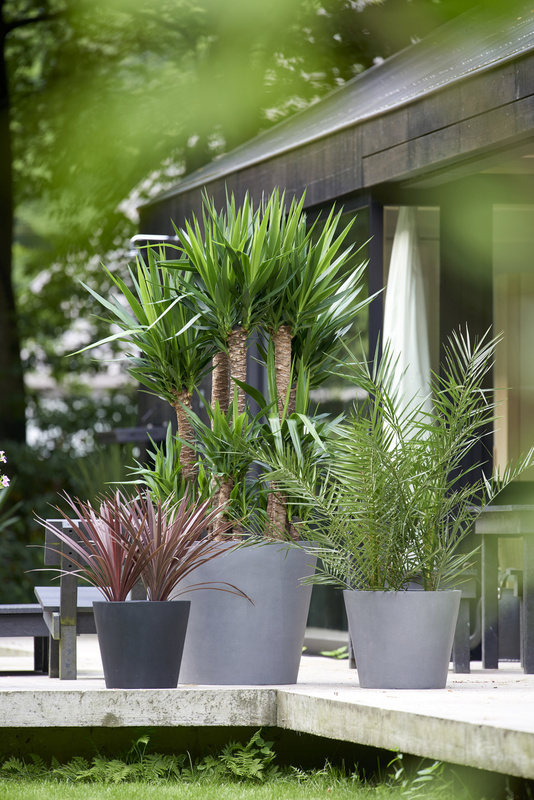 The ‘Garden Plant of the Month’ is an initiative from the Flower Council of Holland. Every month the Flower Council works with representatives of the floriculture sector to choose a plant with an amazing look or unusual characteristics to put in the spotlight. Sometimes it will be a green star that’s highlighted, and sometimes an undiscovered treasure that deserves to be better known and merits a place in the garden, on the patio or on the balcony. Because everyone is happier with more plants.